We address a problem of efficiently estimating the influence of a node in information diffusion over a social network. Since the information diffusion is a stochastic process, the influence degree of a node is quantified by the expectation, which is usually obtained by very time-consuming many runs of simulation. Our contribution is that we proposed a framework for predictive simulation based on the leave-N-out cross-validation technique that well approximates the error from the unknown ground truth for two target problems: one to estimate the influence degree of each node, and the other to identify top-K influential nodes. The method we proposed for the first problem estimates the approximation error of the influence degree of each node, and the method for the second problem estimates the precision of the derived top-K nodes, both without knowing the true influence degree. 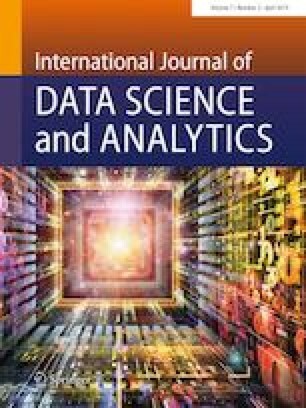 We experimentally evaluate the proposed methods using the three real-world networks and show that they can serve as a good measure to solve the target problems with far fewer runs of simulation ensuring the accuracy when the leave-half-out cross-validation, i.e., N is the half of the number of runs, is used, which means that one can identify the influential nodes without knowing exactly their influence degree in good accuracy. This work was partly supported by JSPS Grant-in-Aid for Scientific Research (C) (No. 17K00314).